The Coaction Lab at the University of Maine, in partnership with the Intermedia MFA program, the New Media dept. 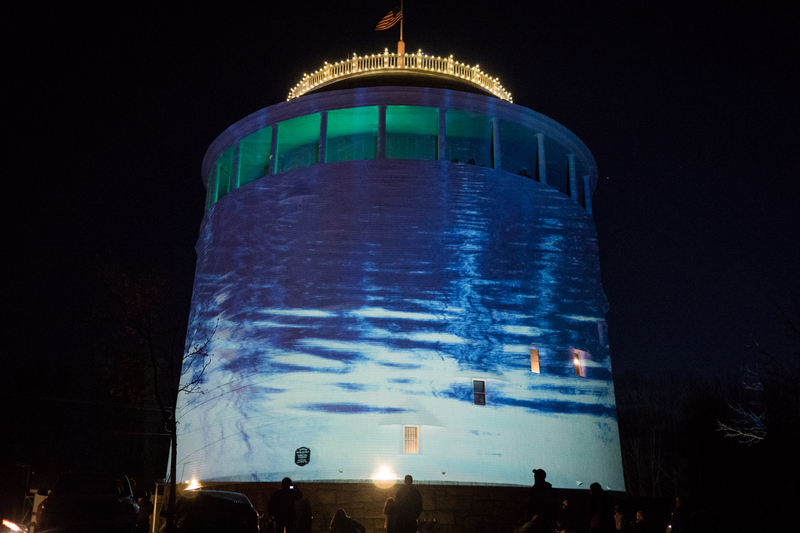 and the Bangor Water District, collaborated to create a multi-media event titled FLOW – An evening of water themed light and projection, during the annual Spring tour of the Thomas Hill Standpipe on May 11th, 2016. Faculty and students enveloped the Thomas Hill Standpipe in a blanket of light, sound and moving imagery inspired by the rich history and daily functions of this unique feature of the Bangor water infrastructure and the incredible diversity of life that depends on water ecosystems.